A new year has just dawned! To the hoots of sirens and the blasts of trumpets, to firework displays and the singing of ‘Auld Lang Syne’ the world bade goodbye to 2017 and welcomed yet another year. As one looked back the past year, there was certainly much to be thankful for. Our good God continued to rain down his blessings in abundance to all. Yes, tragedies and suffering continued to be the lot of many too. Sadly many of the tragedies, which affected millions across the globe, though referred to as ‘natural’ calamities, are in reality man-made caused by greed, over- consumption, wanton destruction of the eco-systems and over-exploitation of natural resources. Above all, war and violence continued to rule the roost; peace in 2017 remained as elusive as ever. Come 2018 the world will continue to pursue peace. It will not be easy by any count. Despotic leaders, who seem to revel in war and violence, control a good part of the world today. They constantly search for the ‘enemy’ – very often far away from their own shores. The military-industrial complex has reaped rich profits (drenched in blood) in the recent past. Some economies thrive when wars continue elsewhere. Then there are those countries, which continuously display an arrogance doing what they want, aggravating violence and tension in other parts of the world, despite UN resolutions or the common understanding of most other countries. It is therefore fitting that for the fifty-first time, the Catholic Church celebrates New Year Day as the ‘World Day of Peace’ with a universal call for substantial action in the pursuit of peace. This year the message of Pope Francis is based on the theme ‘Migrants and refugees: men and women in search of peace’. Given the challenges that most migrants and refugees face today the message is not merely relevant, it is an urgent call to action. 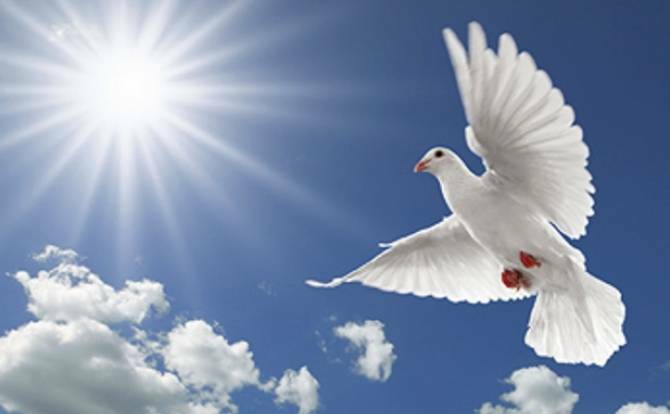 The message begins with the words, “Peace to all people and to all nations on earth! Peace, which the angels proclaimed to the shepherds on Christmas night, is a profound aspiration for everyone, for each individual and all peoples, and especially for those who most keenly suffer its absence.” Pope Francis making it very clear that his message is addressed to all, that peace is something we all long for and above all, there are people in this world like migrants and refugees who are deprived of it. He goes on to say that migrants and refugees are also genuinely in search of peace. They flee “war and hunger, or forced by discrimination, persecution, poverty and environmental degradation to leave their homelands”- because they have no choice. They long for a more stable, safe and secure environment – in which they can live peacefully, with dignity, equity and liberty. These are, as Pope Francis says, “men and women, children, young and elderly people, who are searching for somewhere to live in peace. In order to find that peace, they are willing to risk their lives on a journey that is often long and perilous, to endure hardships and suffering, and to encounter fences and walls built to keep them far from their goal”. In the face of growing xenophobia, racism, jingoism and exclusiveness, Pope Francis highlights the fact that migrants and refugees contribute significantly to the societies, which accept them; besides when host communities transcend bigotry, there is mutual enrichment. “When we turn that (contemplative) gaze to migrants and refugees, we discover that they do not arrive empty-handed. They bring their courage, skills, energy and aspirations, as well as the treasures of their own cultures; and in this way, they enrich the lives of the nations that receive them. We also come to see the creativity, tenacity and spirit of sacrifice of the countless individuals, families and communities around the world who open their doors and hearts to migrants and refugees, even where resources are scarce”. Pope Francis makes a fervent appeal to all to mainstream what he refers to as the ‘Four mileposts for action’: to welcome, to protect, to promote and to integrate migrants and refugees. “Offering asylum seekers, refugees, migrants and victims of human trafficking an opportunity to find the peace they seek requires a strategy combining four actions: welcoming, protecting, promoting and integrating.” He goes on to provide explanations of how these mileposts for action can be realized practically. Finally, in keeping with a commitment made by 193 nations in September 2016, he challenges world leaders to keep up to their promise. “It is my heartfelt hope this spirit will guide the process that in the course of 2018 will lead the United Nations to draft and approve two Global Compacts, one for safe, orderly and regular migration and the other for refugees. As shared agreements at a global level, these compacts will provide a framework for policy proposals and practical measures. For this reason, they need to be inspired by compassion, foresight and courage, to take advantage of every opportunity to advance the peace-building process. Only in this way can the realism required of international politics avoid surrendering to cynicism and to the globalization of indifference”. Our ‘common home’ has been very much in the vision of Pope Francis: the way we treat it, nurture it; the way we care for another very specially for the excluded like migrants and refugees. Every human years for peace and so do the migrants and refugees. As we enter a New Year, we all need to do our best to make peace more tangible. Welcoming, protecting, promoting and integrating the excluded: migrants, refugees and others forcibly displaced will surely lead to that peace we all pursue!